Jaws Services Inc. knows that Wisconsin winters can be very harsh and your driveways, parking lots, and sidewalks need to be cleared of the many inches of snow that we receive. We use quality snow removal equipment to ensure the job is done the best it can be. We also have a team of trained professionals that are dedicated to customer satisfaction. We guarantee that you will be satisfied with our work every time. Some of the cities we serve are Milwaukee, Waukesha, Madison, Kenosha, Racine, Janesville, Beloit, Ashippun, Oconomowoc, West Allis, Brookfield, Delafield, Hartland, Menomonee Falls, Mukwonago, Muskego, Pewaukee, Sussex, Germantown, Grafton, Mequon and New Berlin. 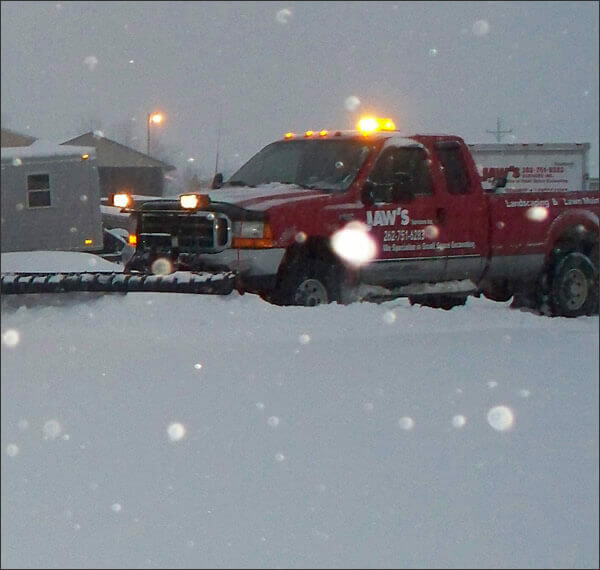 To learn more about our exceptional snow plowing services call us at 262-751-6283. Copyright Jaw's Services Inc. Excavating, Grading, Trenching, Demolition, Trenching and Snow Plowing Services. All Rights Reserved. Bayview, Beaver Dam, Big Bend, Butler, Cambridge, Cedarburg, Colgate, Cudahy, Dousman, Eagle, Elm Grove, Erin, Fort Atkinson, Franklin, Genessee Depot, Grafton, Greendale, Greenfield, Hales Corners, Hartford, Hubertus, Ixonia, Jackson, Jefferson, Lannon, Mequon, Merton,Nashotah, Neosho, New Berlin, North Lake, North Prairie, Oak Creek, Oconomowoc, Okauchee, Port Washington, Richfield, Rubicon, Saukville, St Francis, Shorewood, Slinger, South Milwaukee,Wales, Watertown, Wauwatosa, West Allis and West Bend.